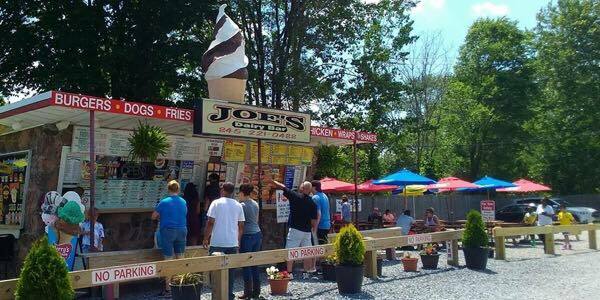 Joe’s Dairy Bar and Grill is located at 550 Route 82, Hopewell Junction, New York 12533. Our telephone number is 845-221-0488. We are located at the intersection of Route 82 and Lake Walton Road in Hopewell Junction, right across the street from a Stewarts Shop/gas station. We’re the stone building with a brown and white “twist” cone on our roof.